05/22/14--22:01: Get a Poster Signed by Hyun Bin, Cast of ‘The Fatal Encounter’! Enter for a chance to receive this poster signed by Hyun Bin! Hyun Bin’s new movie, “The Fatal Encounter,” is finally opening in select theaters across North America today (May 23). We were lucky enough to receive an autographed poster from CJ E&M, signed by the main cast, including Hyun Bin, Han Ji Min, Jo Jung Suk, Jeong Jae Young and Park Sung Woong! And we’re giving the signed poster away to one lucky fan! Entries will be accepted until Thursday, May 29, at 11:59 p.m. Pacific Time . The winner will be contacted via Private Message on Viki and asked for their mailing address by Friday, May 30, at 11:59 p.m. Pacific Standard Time. If you’re not sure where you can watch “The Fatal Encounter,” you can find a full list of theaters and showtimes here: http://bit.ly/1lGoiYN. As you may remember, Marlee has joined forces with Viki for the Billion Words March to bring subtitles and captions to the 360 million people worldwide who are deaf or hearing impaired. Watch her thank-you video below!! 05/28/14--14:26: Subtitle for a Chance to Get a Signed Photo of JYJ's Yoochun - This Week Only! Until the end of May, you can show off your subtitling skills for a chance to receive Viki merchandise or a signed photo of Park Yoochun. His birthday is coming up next week so this would be the perfect way to celebrate! Every day from now until May 31, a gift will be given to the person who writes the most subtitles that day. Better yet, you can win on multiple days! Follow the instructions below to be eligible to receive a gift. Once a day, submit the number of subtitles you wrote that day in this form. Remember that you can subtitle in any language. Check your PMs on Viki as we'll contact the top subtitler each day there by the end of the next day. One lucky person will get a signed photo of Park Yoochun. The other daily winners will receive surprise Viki gifts such as t-shirts, pens, stickers and more. We'll give away something different each day! 1) Check out this Viki U video tutorial to learn how to use the Subtitle Editor. 2) Navigate to a video and get started. You can practice on an English-language news video. Don't speak another language? Don't worry - you can caption them in English! 3) Ready to subtitle a full-length movie or TV episode? Use the Project Finder to search for videos that need subtitles. Again, subtitles can be in any language to be eligible for the gifts! 4) Where can you find your subtitle count? You can see how many subtitles you've written on your profile. Check the total number of subtitles you started the day with and calculate the difference at the end of the day. Note: Popular movies or on-air TV shows are managed by volunteer "channel teams" and only team members are allows to subtitle those videos. If you want to join a team, just contact the Channel Manager! 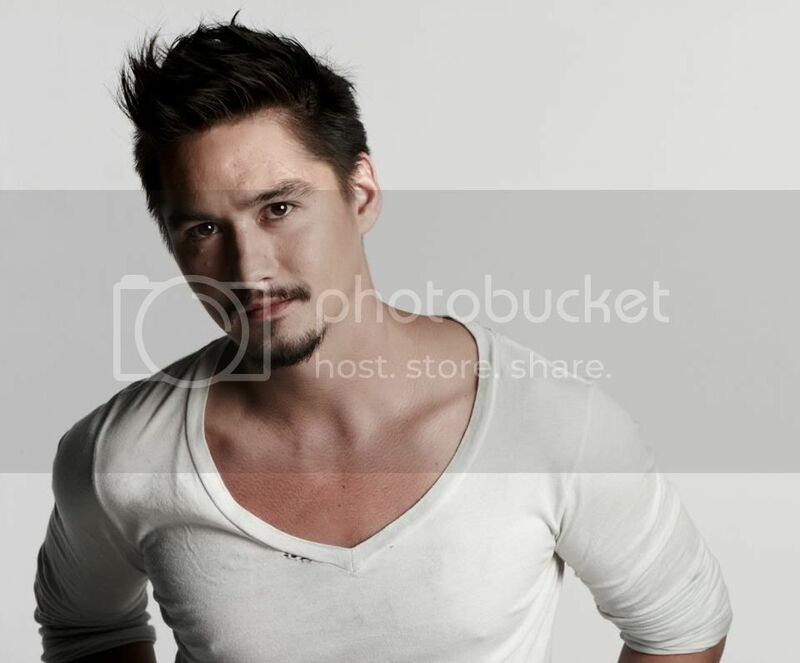 Happy 32nd birthday to Ananda Everingham, one of the most popular Thai actors today! Here are five facts you probably didn’t know about the veteran star, who continues to shine after more than 15 years in the business. Ananda is of Australian-Laotian descent. 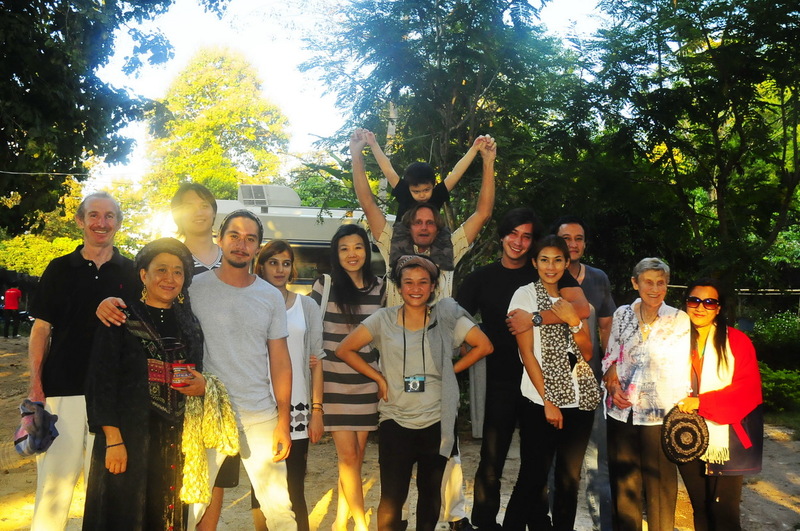 Ananda’s father is John Everingham, a Bangkok-based Australian photojournalist, and his mother, Keo Sirisomphone, is Lao. His parent’s love story was loosely dramatized in the 1983 NBC television movie, “Love Is Forever.” Born in Bangkok, Thailand, on May 31, 1982, Ananda holds Australian citizenship and also was educated there for a bit. Ananda is a popular star in countries outside Thailand, including Singapore and Laos. Although Ananda is best known for his Thai films, he also starred in Singaporean films such as “The Leap Years” in 2005 and “Pleasure Factory” in 2007. Released in 2008, “Sabaidee Luang Prabang” was the first Thai/Lao commercial film shot since 1975. Ananda means ‘bliss’ or ‘happiness’ in Sanskrit, a classical language of India. Ananda is one of the principal disciples and a devout attendant of the Buddha. It is a popular Buddhist and Hindu name, as well as a popular name among Muslims in Indonesia. Before becoming an actor, Ananda worked part-time in his family’s Indian restaurant. At age 14, he was discovered there by a representative of GMM Grammy, Thailand’s largest entertainment company. He soon started acting in films and lakorns (otherwise known as dramas). Keep an eye out for this international rising star. What did you find the most interesting about this hot star? 05/30/14--15:55: Meet Mario Maurer — Featured Artist of the Month! Viki’s featured artist of the month is Mario Maurer from Thailand! Mario is a Thai model and actor who is of Thai-Chinese-German descent. He began his career as a model and then starred in his first movie, “The Love of Siam,” in 2007. Since 2010, the film awards have been pouring in — with Mario winning “Best Film Actor” at the Top Awards 2010 ceremony. Check out Mario’s movies to learn what all the buzz is about! 06/02/14--07:30: 7 Trainees Compete to Join KARA — Who Will Make It? Have you ever dreamed of becoming a K-pop idol? Watch reality show “KARA Project”and follow the seven trainees hoping to launch their music careers with popular girl group KARA. The former five-member grouprecently lost two of its members, Nicole and Ji Young. That leaves Ha Ra, Gyu Ri and Seung Yeon with the challenge of picking one or more members to join them in the group. Watch the trailer below and tune in to see who will make the final cut! Happy 28th birthday to Park Yoochun! As he grows one year older on June 4, here are five reasons we can’t help but keep loving the hot actor/singer more and more. Happy 28th birthday, Park Yoochun! Yoochun’s nickname “Micky” was his English name when he lived in the United States. Yoochun was born in Seoul, but he moved with his family to the United States when he was in sixth grade. He lived in Fairfax, Virginia, where he attended middle and high school before returning to South Korea after being scouted by Brothers Entertainment. Mickey Mouse ears for our favorite Micky! Yoochun’s younger brother, Park Yoo Hwan, also is in the entertainment industry. Watch a clip of Park Yoo Hwan in an Episode 15 preview from “I Need Romance 3” below. Yoochun once dated Kahi, former leader of K-pop girl group After School. It’s been rumored that they were in a relationship during the time when Kahi was a backup dancer for Boa and Yoochun was active with TVXQ. Yoochun can speak Korean, English and Japanese fluently. During the early years after TVXQ’s debut in 2003, he learned Japanese and spent several years doing promotions in both Japan and Korea with the group. Which fun fact about Yoochun did you find most surprising to learn? Tell us in the comments below! 06/05/14--09:42: Binge Watch ‘Inborn Pair’ During Viki’s Ad-Free Weekend! This weekend, Viki is going ad-free for the Taiwanese drama “Inborn Pair” from Friday through Sunday Pacific Time! Fans everywhere can binge-watch all 84 episodes of “Inborn Pair,” the hilarious Taiwanese drama about an arranged marriage and finding love in the most unexpected situations. Want to watch all your favorite shows on Viki without ads and in HD all the time? Sign-up for a free 7-day trial of Viki Pass. For just $3.99 USD a month you can watch all your favorite dramas, shows and films on Viki without being interrupted by commercials. * Inborn Pair is available in the Americas, Europe, Africa, Middle East, Australia, Philippines, Indonesia, and India. 06/05/14--15:00: NEW! Learn How to Earn Fun Subtitling Badges! Yay! Today, we’re launching a huge update to our insanely popular Badges feature. You’ll now automatically get badges when you perform certain actions on Viki, including segmenting, subtitling and subtitling in specific languages! You’ll also get badges for being a Channel Manager or Moderator. There are so many more fun badges to earn, though, with more coming! Check out the full list of badges here. NOTE: Don’t see any badges on your profile page yet even though you should have some? Head on over to the Subtitle Editor for any video and you’ll receive them all! New to subtitling and segmenting? Not a problem: Learn how to get started with Viki U. Start by checking out these subtitling and segmenting tutorial videos. You can find a video to subtitle or segment on in the Project Finder. It’s that easy. Have a badge idea? Let us know! If your badge gets chosen, we’ll give you a shoutout in our next blog about badges. We hope you love these fun treats as much as we do! Happy subtitling! Happy birthday to Kim Hyun Joong, one of our favorite Korean singer-actors, who was born on June 6, 1986! The actor got his start as the lead rapper in the boyband SS501 before gaining worldwide fame with his appearances in the Korean dramas “Boys Over Flowers” and “Playful Kiss.” Not to mention his most recent star turn in the hit drama “Inspiring Generation”! Want to know even more? Check out some fun facts about the birthday boy! Kim Hyun Joon’s height is just one of the reasons he stands out on screen. While acting, many of his female co-stars have had to stand on platforms even when wearing heels next to him! The actor makes time to play soccer with a charity team called FC Men. In 2010 while driving on a road in Seoul’s Gangnam district, Kim Hyun Joong was driving his motorcycle with a friend and was hit from behind by another vehicle. The near-fatal accident left the star with major injuries to his shoulder and visible scars. His bandmates in SS501 say the star is notorious for being able to fall asleep anywhere and is a deep sleeper. Even stars have to start somewhere! Before he was a famous member of the F-4 in “Boys Over Flowers” and getting into fights with gang leaders in “Inspiring Generation,” he worked in construction as a teenager! 06/07/14--03:00: Congrats to the Top Subtitlers of the May Sub-a-thon! During the last few days at the end of May, we invited Viki community members to subtitle as much as they could each day for a chance to receive a gift. The gifts were either Viki merchandise or a signed photo of Park Yoochun! The results were amazing! Some users even came close to reaching QC status within one day alone. Thank you to everyone who participated - we greatly appreciate the time and effort you set aside to contribute. Viki wouldn't be the same without people like you! Today, we're happy to recognize the Top Subtitlers and their respective languages! 06/05/14--16:09: ¡NUEVO! ¡Aprende cómo ganar las divertidas insignias de subtítulos! Hoy estamos lanzando una gran actualización a nuestro increíblemente popular sistema de insignias. ¡Ahora podrás obtener tus insignias automáticamente al realizar ciertas acciones en Viki, incluyendo segmentar, subtitular o subtitular en algún idioma en específico! También podrás recibir insignias por ser Gestor o Moderador de Canal. Hay muchas divertidas insignias que puedes obtener y muchas otras que vienen en camino. Verifica la lista completa de insigniasaquí. OJO: ¿No ves ninguna insignia en tu perfil aún, a pesar de que deberías tener algunas? Ve al Editor de Subtítulos en cualquier video y las recibirás todas. ¿Eres nuevo subtitulando y segmentando? No hay problema: Aprende cómo comenzar conVikiU. Comienza viendo estos videos tutoriales de cómosubtitular ysegmentar. Puedes encontrar videos para subtitular o segmentar en nuestroBuscador de Proyectos. ¡Es así de fácil! ¿Tienes una idea para una insignia? ¡Déjanos saber! Si tu insignia es aceptada estaremos haciendo una mención para ti en nuestro próximo blog acerca de insignias. Esperamos que te encanten estas divertidas recompensas tanto como a nosotros. ¡Que disfrutes subtitular! 06/10/14--03:30: Your Picks: 7 Hottest Make-Out Scenes in Dramas! You spoke and we listened! Last month, we posted “The 3 Hottest Forbidden Love Make-Out Scenes,” and many of you had your own picks for the best make-out scenes in your favorite dramas and movies found on Viki. After Eun Chan (played by Yoon Eun Hye) comes clean to Han Kyul (played by Gong Yoo) that she is really a girl, she makes a decision to go to Italy to study to become a professional barista. But she rushes over to Han Kyul’s house late one night in Episode 16, and the two can’t keep their hands off each other. Watch the episode below. The make-out session starts around 1:04:00. Both Xin Yi (played by Chen Qiao En) and Cun Xi (played by Ethan Ruan) drink a little too much one night. Cun Xi goes into Xin Yi’s room, thinking that it’s the room of his girlfriend, Anna, and the two end up hot and heavy in the sack. In the next episode, Xin Yi finds out that she’s pregnant! Watch the hot love scene at at 44:19 in Episode 1 below! Watch the scene at 34:51 in Episode 8 below! There are so many great make-out scenes in “I Need Romance” and its sequels. We’ve picked out your favorites from each of the series! First, the make-out scene in a car between In Young (played by Jo Yeo Jung) and Sung Hyun (played by Choi Jin Hyuk) from Episode 11 gets very steamy but then is cut short way too soon. Watch the kissing scene at 2:56 in Episode 11 below! Is this scene real or not? The steamy make-out scene in Episode 1 of “I Need Romance 2” between Seok Hyun (played by Lee Jin Wook) and Yeol Mae (played by Jung Yu Mi) turns out to be a part of a script that Seok Hyun wrote. The next-door neighbors have been in an on-and-off romantic relationship for 12 years. Watch the super hot scene at 3:02 in Episode 1 below! Watch the sweet kiss at 1:38 in Episode 4 below! In this popular Taiwanese drama about a December-June relationship, Wu Shuang (played by Cheryl Yang) is a 33-year-old magazine editor who falls for 25-year-old Lucas (played by Ethan Ruan), who works as an assistant at the magazine. After overcoming many obstacles, including an overbearing mother and a 100 paddles to the rump at a religious temple that has to be seen to be believed, the unlikely couple finally end up together in the end. When they share a passionate kiss in the final episode, a number of meddling spectators make funny commentary as they watch from all angles! See the hot kiss at 24:09 in Episode 34 (the series finale) below! Don’t see your favorite make-out scene on this list? Before you start complaining that we didn’t include your favorite make-out sessions from “Naked Kitchen,” “Lovers” and “La Dolce Vita,” we saw your comments about these titles, and we have to agree that they were pretty hot. But unfortunately, these titles are not currently licensed to Viki, so we couldn’t include them. But if there are any other great scenes from dramas or movies found on Viki that you thought were too hot to handle, let us know and we may do another sequel! 06/11/14--04:00: Learn These 5 Thai Phrases With Viki! Last month in "Learn These 5 Chinese Phrases With Viki," we all learned a new language, Mandarin. Today, we're continuing with Thai which happens to be the language spoken by Mario Maurer, our featured artist of the month! Here are some Thai phrases from popular Thai movies found on Viki. After Jim (Ananda Everingham) finishes checking out a book from the library, the librarian Ann (Selina Wiesmann) and her friend admire him as he leaves. The friend comments about how attractive he is by saying, "So handsome." Note: This phrase is a slang term. After successfully stealing "Snow Dog," Art (Mario Maurer) brings Den (Koti Aramboy) back to his house for safety. Instead of figuring out their next steps, Den accuses Art of being too preoccupied and sarcastically remarks: "Take pictures of the dog." Pronunciation guide: "rl" is a rolling r.
While Art (Chanakan Poonsiriwong) is enjoying a popsicle with Mee (Nutprapas Tanatanamaharat), she asks if he's ever secretly liked someone before. She admits that this has recently been true her and says: "I like him a lot." Pronunciation guide: For "cha" in ฉัน, make the same sound you make for "matcha" green tea. When Pao (Chayanan Manomaisantiphap) is involved in a serious car accident that leaves her in a coma, Ten (Ananda Everingham) keeps his promise to take care of her forever. As time passes, she shows no signs of recovery so her parents decide it's time to stop hospital care. Ten refuses, but Pao appears in his daydream to tell him: "Let me go." Pronunciation guide: "Pai" (ไป) rhymes with "Thai." While Yai (Kittikhun Sumritpansuk) is shopping with Ant (Primorata Dejudom), she hears a song playing from a nearby music store. She explains that when her mother was young, she used to follow the artist's fan club. In response, Yai says: "This song is old." Pronunciation guide: The "lang" in เพลง rhymes with "boomerang." Let us know what other words you've learned while watching Thai movies and lakorns, in the comments! Also, which language would you like to see featured next? To kickstart your language learning journey, head over to Discussions to interact with fellow community members on interesting topics! We'll be running new exciting activities and events to make learning a new language easy and fun! Stay tuned for more details soon. *Some titles on Viki are not available in certain regions of the world. But Qualified Contributors (QCs) can view and contribute to most titles. Read this blog post to learn how to become a QC. Ideal fathers raise their children with love, support them in all their endeavors and continue to be a source of strength for their children in adulthood. But if all fathers behaved like that in our favorite dramas, they wouldn’t be dramas now, would they? Some fathers’ actions in dramas exasperate us so much, we want to leap out of our seats, reach into our screens, and shake some sense into them. Here are six of the most disturbing “thank goodness he isn’t my daddy” moments in our favorite dramas. In “A Little Love Never Hurts,” Mi Joo’s dad (played by Kang Seok Woo) spends most of his days doing stretching exercises and being catered to by his self-sacrificing second wife, who even spoon-feeds him and cuts his toenails. He’s too busy trying to preserve his healthy body to do anything for himself! In “Bull Fighting,” Sheng Xue’s father, Wu Ye (played by Jian Chang), is a wealthy landowner who has so many bodyguards that he looks like a hoodlum. He’s a strict father who imposes an overwhelming number of rules on his daughter, including not calling him “daddy” because he thinks the label demeans him. When his daughter does something that displeases him, Wu Ye whacks her with a huge cane! Ouch! In “Gu Family Book,” Wol Ryung (played by Choi Jin Hyuk) is a mountain spirit who possesses eternal life. But he tries to become human after he falls in love with a woman, only to be betrayed by her and condemned to spend eternity as a ferocious beast. Twenty years later, he returns to exact his revenge on the humans responsible for his condition and even tries to kill his own offspring from his long-lost human lover! In “Holy Battle in Couleur de Rose — The Future Is in Our Hands,” Atsushi Miki (played by Tomoharu Hasegawa) neglects his wife and kids and only cares about getting ahead in his career. He has an affair, but his loving wife tries to save their marriage by improving her personal appearance and even gets opportunities to work as a professional model. But Atsushi will have none of that. He lays a guilt trip on his wife about neglecting their family to pursue modeling, but secretly fears that her modeling career will hurt his own career advancement. In “Heirs,” Kim Nam Yoon (played by Jeong Dong Hwan) is the ultimate, cold-hearted father who thinks he can have everything his way because he is rich and has a lot of minions. He has two sons (played by equally handsome Lee Min Ho and Choi Jin Hyuk) from different wives, and it gives him great amusement to pit the half-brothers against each other for power within his company. He also has personal investigators watching his sons’ every move. What a trusting father! To these great dads and other wonderful papas everywhere, we wish you a happy and healthy Father’s Day! Are there other drama papas who have done outrageous things in your favorite shows that we haven’t included here? Let us know in the comments below! 06/12/14--16:39: Let's Celebrate #WorldCup2014 Together! It's the start of the 2014 World Cup, ole! Which country are you cheering for? We'll be celebrating this important sports occasion in true Viki fashion... by creating a celebrity bracket where you can vote on your favorite drama stars, of course! For each match, the drama star who gets the most votes will move on to the next round. Remember to cast your votes early so your favorite celebrity isn't left out! During the next four weeks, we will show a different celebrity pairing. By the end of #WorldCup2014, there will be a final vote to see who is chosen as your overall favorite drama star! Who is your favorite drama leading lady? Which beautiful leading actress will move on to the next round? Vote and tell us in the comments too! 06/14/14--00:36: Win Tickets to See Jang Dong Gun in "No Tears for the Dead"! Jang Dong Gun plays a cold-hearted hitman in "No Tears for the Dead"
Jang Dong Gun, most well-known internationally for his role as Kim Do Jin in the 2012 Korean drama "A Gentleman's Dignity," is making his comeback to the silver screen after two years in the action film “No Tears for the Dead,” by critically-acclaimed director Lee Jeong Beom. The highly-anticipated South Korean film is set to be released in North American theaters on June 20th! And we're giving away a pair of tickets* to see the movie to seven lucky Viki fans in each of the following U.S. cities! Don't see your city listed here? Check out the official movie webpage for a complete list of available theaters and showtimes. Simply follow these steps by 9:00 a.m. Pacific Time on Monday, June 16, to enter the giveaway. Winners will be contacted via email by 3:00 p.m. PT on Monday, June 16. * Tickets do not include travel arrangements or expenses. * The tickets will be valid from June 23rd until whenever the movie is taken down from the theater. Good luck, and stay tuned in to our blog for another "No Tears for the Dead" giveaway involving some signed merchandise! Since the dawn of cinema, celebrities on the big screen and small screen alike have been changing their names to sound more mainstream or “star-like.” But with the following Asian celebrities, their English names left us scratching our heads wondering where they came up with that! Here are some of our favorite epic fails of Asian celebrities’ English names that may have lost something in the translation. Alien Huang — Maybe he really is from out of this world? The incredibly talented Taiwanese singer, actor, MC, lyricist, writer, illustrator and fashion designer says he chose his English name because he wanted to be “an indefinable and unique character, just like aliens…” His Chinese name is Huang Hong Sheng. We think he should have stuck with one of his previous English names, Janson or Harry. Alien — Bringing universal charm to us on Earth! Puff Guo — Any relation to Puff the Magic Dragon? The Taiwanese model, actress and singer is a member of the girl group Dream Girls. Born Guo Xue Fu, Puff is considered one of Taiwan’s 100 Sexiest Women in the World. We have no idea why she chose her English name, but we think of her every time we’re out of breath. Puff — She’ll huff and she’ll puff and blow you away! Nylon Chen — Were Satin and Linen already taken? The up-and-coming Taiwanese actor and singer is starring in the currently airing drama “Tie the Knot” and had a small role in the popular drama “Déjà Vu.” It’s obvious that Chen Nai Long didn’t spend too much time thinking of the first English word that sounded the most like his original name. But if we had to pick our favorite synthetic fiber, he would definitely top our list! Nylon — The kind of synthetic fiber we all can get used to! Caroline Charonplop Kyary Pamyu Pamyu — Can anyone announce her name without running out of breath? The popular Japanese model and singer thought her given name, Kiriko Takemura, was a little too boring for show business. So she took on “Kyary,” which is the Japanese phonetic spelling of the name “Carrie” but also decided to add “Pamyu Pamyu” because she thought it sounded cute. She kept adding a couple more names for good measure! Kyary Pamyu Pamyu — Take a deep breath before you call out her name! Eugene — Because no girl names were available? We know it’s kind of cool to have a masculine name, but we’re not sure if Korean actress and singer Kim Yoo Jin put much time into trying to find an Anglicized version of her Korean name either. Like Madonna and Rain, the former member of the girl group S.E.S. opted to go with a single moniker, instead of calling herself “Eugene Kim.” But we’re certain that would have made her sound even more like a dude. Eugene — There’s no mistaking this beauty for a boy! Kingone Wang — Is there a younger brother named Kingtwo? The Taiwanese singer, actor and host clearly took his Anglicized name from the first and third characters in his Chinese name Wang Chuan Yi, which means “king” + “one.” We’re just curious if the royal theme continues for any other children in his family. When you see him starring in the currently airing drama “Tie the Knot” and in the drama “Scent of Love,” you’ll see why his good looks helped to launch his music and acting career! Kingone — He’s definitely the number ‘one’ king in our hearts! Lego Li — Maybe it’s his favorite toy? This adorable up-and-coming Taiwanese actor has an equally cute English name. His original name is Li Guo Yi, so he must have picked the English word because of its similarity in sound to his Chinese name. But we’re wondering if he’s been contacted by the Denmark-based toy company that manufacturers the iconic kids’ building toys for trademark infringement? Lego — He’s our favorite boy toy! Vision — Wouldn’t it be awkward if he lacked it? The Chinese singer and actor Wei Chen who rose to fame through the “Super Boy” singing competition put a lot of pressure on himself by giving himself the English stage name Vision. But he’s also known by the names Little Orange and Chen Chen. Vision — The rising star can definitely ‘focus’ on a bright future! Hero Jaejoong — Did he rethink this unusual name choice? One of Korea’s hottest singer-actors of the moment, Kim Jae Joong used to go by the English name of “Hero.” But as his acting career has taken off, he is downplaying that previous name. But the dreamy hottie will always be a hero in our eyes! Hero Jaejoong — He may be downplaying his former name, but he’s still our favorite hero! Fanny Sit (Hong Kong actress) — Yeah, that’s what we’d want our fannies to do most of the time, too! U-Know (Korean singer Jung Yun Ho) — No, we really don’t know; is there something we should know? Se7en (Korean singer Choi Dong Wook) — In case you didn’t know what his favorite number is, his stage name gives you a clue! Passion Yara (Japanese comedian Yara Chobyo) — He lives up to his first name in his best-known chest-beating comedy routines! Rain (Korean singer and actor Jung Ji Hoon) — It’s better than Sleet or Hail, but not as cool as Hurricane or Tornado! Angelababy (Chinese model, actress and singer Angela Yeung based in Hong Kong) — Yes, she is adorable, but she wants to make sure you never forget it by adding her nickname to her first name as one stage name. What is your favorite unusual Asian celebrity name? Let us know in the comments below! School is out and summer is finally here! While we totally support binge watching hours of Viki, here are some helpful suggestions for how to make the most of your time off. Oppa, annyoung, wae— these are some of the first words any K-Drama fan learns, but whatever language you want to learn, Viki is a great place to start. Check out 5 helpful Chinese phrases to get started. Saranghae to all the community members who make learning languages on Viki possible! Did you know all the subtitles on Viki are done by our volunteer community of fans just like you? Get in on the fun and try it out. Who doesn't love food? Summer is the perfect excuse to try new things. Get inspired by haute cuisine in new Puff Guo's new Taiwanese drama in 'Love Myself or You', or go with something classic like ramen in 'Ramen Walker.' Nom nom nom. We're not saying you need to go as far as Sulli in 'To the Beautiful You' and cut off all your hair and dress like a guy, but a new fresh look can be fun. Maybe start simple with a new lipstick color like Cheon Song Yi in "My Love From The Star." Summer is a great time to get a part-time job and make some extra cash. You might be able to find a job at the mall, like Gong Hyo Jin in 'Master's Sun.' Better hope you don't start seeing ghosts!